I'm sure millions of people are blogging on this already but I feel the need to put my two cents in. 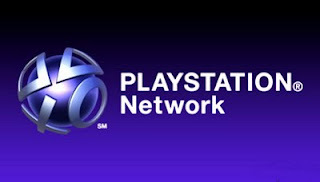 Grant and I were already annoyed by the recent PSN outage but when we heard this week that are information might have been compromised we were furious (and still are). Yesterday Grant went ahead and canceled the card that was on the account which was a huge deal since we are about to leave for Chicago next week and will now have to wait on another card. Luckily we have my card while we are in Chicago. Grant also went ahead and changed all the passwords on our accounts. If you have not done these things yet I suggest you do. I have heard reports that no ones credit card information was compromised but I have also heard reports of people saying theirs was. What really bothers me about the whole thing is how PSN has handled the situation. News was slow moving to get to PSN customers about the potential leak of information. They waited a week to release that information and then only released it on their blog. Luckily in the day of the internet we all read it on everything else. My problem with it all is they did not immediately let their customers know! In the end I think that is what is going to hurt them in the long run. I don't feel I can trust PSN to encrypt my data for one and two not tell me immediately if my information has been compromised. That is outrageous! What are your feelings on the way this has been handled? Leave me a comment VENT YOUR FRUSTRATION!